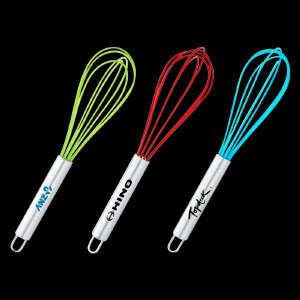 Get Custom Branded Kitchen Promotional Items Today! Never let anyone tell you that building a brand is easy. It takes a whole lot of insistence, persistence and consistency to make your brand ubiquitous in the eyes and minds of your target market. What’s more, try too hard and you run the risk of being an annoyance. It’s a fine line that all successful businesses must learn to walk. Yet, with so many other brands out there competing for your attention, it behoves entrepreneurs to find bold and exciting ways to go the extra mile to ingratiate their brand in the hearts and minds of their audience. Many brands use branded materials as a way of boosting brand recognition and giving promising leads and loyal customers alike that all important something for nothing. This can be an extremely effective brand building strategy and one that leads to a long and mutually beneficial relationship with your clientele. But it’s not enough merely to have some branded materials… You need to make sure that you have the right branded materials. The kind that reflect the prestige and quality inherent on your brand. That’s where our high-quality branded kitchen gifts come in. With so much competition out there, consumers know that they can afford to be fickle. That’s why brands both large and small grapple with the difficulties of retaining and rewarding customer loyalty. We find that the surest way to do this lies not just in giving customers something for nothing… It lies in giving them something of value for nothing. Something that will benefit them in their day to day lives and make their lives easier while also reminding them just how much you care for them. Retention starts with recognition, and what better way to recognise the loyalty of high-end customers than with this great quality and useful custom branded kitchen gifts? Of course, customers needn’t be the only ones to benefit from these great gifts. They’re also a way to reward your employees for their achievements, boost staff morale and contribute to greater employee satisfaction. This can help to reduce staff turnover and will have a knock-on effect on productivity too! Did you know that the average person is exposed to 5,000 ads each and every day? If you think yours is the only brand determined to make an impression on your customers and earn their loyalty, think again! However, the beauty of branded kitchen gifts is that they offer your brand a place in the homes, minds and hearts of your employees. By putting your brand on kitchen items they’ll use every day, you can help to ensure that yours is the only brand that sticks in their minds when they have need of your products and services. With your branded gifts in kitchen drawers and cupboards all over Melbourne, Sydney, Brisbane and beyond you can help your brand to take Australia by storm! We understand how much your brand means to you. It means a lot to us too. We understand the struggle that all businesses face in ensuring that their branding is an attractive, engaging and accurate representation of their enterprises and the quality and prestige that they imply. That’s why we offer full-colour custom branding not just on our kitchen gifts but on all of our products, to ensure that the essence of your branding is never lost in translation. Thanks to our free artwork service, you can now get fast, a free and accurate virtual sample that will show you exactly how your brand will look on your gifts.